Our goal is to encourage people in Andover and district, across the county and all age groups, to have fun with words. We know that when people across all walks of life in all areas of our community have fun with words, it improves their self esteem, life style and employment prospects. People do this by being confident speaking, reading, writing, sharing and enjoying words. We are a non-profit community based organisation. In the last 4 years we have run 20 word related events such as poetry cafe’s, writers workshops, play writing showcases, independent book fairs and promoted and attended another 20 events where we promoted Hampshire writers and their books. So we’ve provided access to local communities to workshops, provided support to Andover writers to help showcase their talents and showed Andover what an amazing bunch of talented creative writers we have here. In 2016 we will continue to help Hampshire Scribers and promote The Teapoet Collective in Andover. We are going to have a poetry fundraising event in February and focus on promoting local authors to schools, reading groups and local craft fairs. But what do Andovarians think about our events? Cat Randle is the founder of Big Up Words in 2011 as well as the chair. 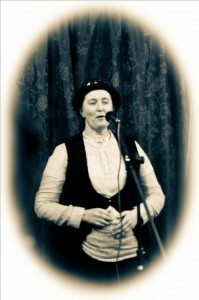 She is a published children’s playwright, poet, television skit writer and SF and children’s short story author in NZ. In England she performs poetry regularly around the South East England, is a short story author, is on the committee of the TeaPoet Collective, has a video on vimeo and a Master of Arts in Creative and Critical Writing from Winchester University.